The renewable energy award includes the National Archaeological Museum, the Caves of Altamira Museum, the National Museum of Roman Art in Mérida and the El Greco Museum in Toledo, among other exhibition centers ACCIONA Green Energy Developments, the ACCIONA Energy subsidiary dedicated to the marketing of energy of renewable origin, has been awarded the supply of electricity to 18 museums and exhibition centres. 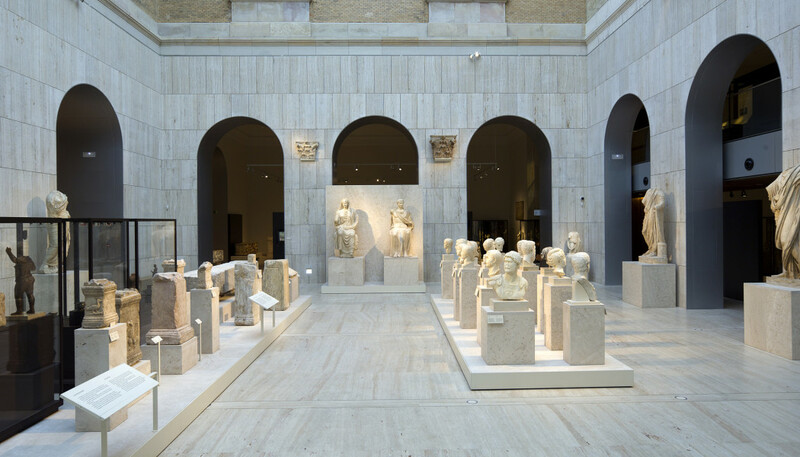 The museums, managed by the Sub-directorate General of State Museums (Ministry of Education, Culture and Sport), receive three million visitors per annum. The award includes the supply of around 10 gigawatt-hours (GWh) of electricity between October 1 2015 and July 31 2016, with estimated revenues of around 740,000 euros. This level of power – certified 100 per cent renewable by the Spanish National Competition Commission (CNMC) – will avoid the emission of 9,619 metric tons of CO2 to the atmosphere from coal-fired power stations per year. Nine of the museums that will benefit are located in Madrid: the National Archeological Museum, The Museum of the Suit, the Museum of the Americas, the Sorolla Museum, the Cerralbo Museum, the National Anthropology Museum, the National Museum of Decorative Art, the National Museum of Romanticism and the Centro Tabacalera for the Promotion of Art. These are joined by the National Museum of Roman Art in Mérida (Cáceres); the Altamira Caves Museum at Santillana del Mar (Cantabria); the El Greco and Sephardic Museums in Toledo; the ‘González Martí’ National Museum of Ceramics and Sumptuary Arts in Valencia; the Nacional Museum of Sculpture and the House of Cervantes in Valladolid; the National Museum of Subaquatic Archeology in Cartagena (Murcia) and the Palacio de los Águila in Ciudad Rodrigo (Salamanca). “We are particularly pleased to have won this contract because it reinforces our position as a supplier of clean energy to the world of art and culture, helping to reduce its carbon footprint and linking its many social benefits to being ever more sustainable from an environmental point of view,” said ACCIONA Green Energy Developments Director Santiago Gómez Ramos. This contract strengthens ACCIONA’s position as a supplier of renewable energy to cultural centers in Spain, where it already has major clients such as the El Prado Museum, the Thyssen Bornemisza Museum and the National Library, with which the company has just renewed the contract for electricity supplies until October 7 2016. Following this latest contract, the company now supplies renewable energy to cultural institutions that, taken together, receive around seven million visitors each year. The approximate volume of energy to be supplied is 35.5 GWh, thus avoiding the emission of more than 334,000 metric tons of CO2 to the atmosphere.